This year Bitesize Bootcamp are holding their annual Battlefield Challenge on the 3-4 November, with a Halloween twist and you’re invited! Bitesize Bootcamp offer boot camp inspired fitness sessions for children, aiming to develop their well-being through fun and interesting exercise programs and events. Sponsored by UK Fast, this years event is set to take place at Ashton on Mersey School, Sale, Manchester and challenges children between the ages of 4 and 16 years to tackle over 20 muddy and wet obstacles that lie in their way, in order to be crowned a battlefield champion! 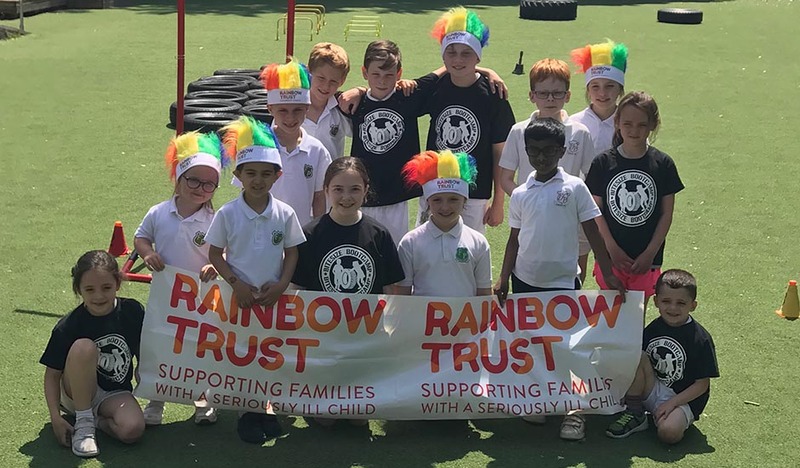 Not only will the event be a great alternative day out, but they’ll also be supporting Rainbow Trust to support families caring for a seriously ill child, by raising a minimum of £20. With last years event raising a total of £8,000, this years Battlefield Challenge will aim to be bigger and better to surpass this total. For any further questions about the event contact Ruth at Bitesize Bootcamp. Want to join in but not aged 4-16? We’re looking for volunteer support for this event on 2-4 November, if you would like to get involved please click here. *To be used on ticket only entries, excluding t-shirt. Please purchase a challenger t-shirt separately if you would like one.